Yet another holiday is wholly incorporated into the universal White House calendar. 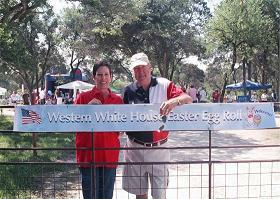 The Clinton Library glommed onto the White House Easter Egg Roll, but holding it’s event a week earlier. 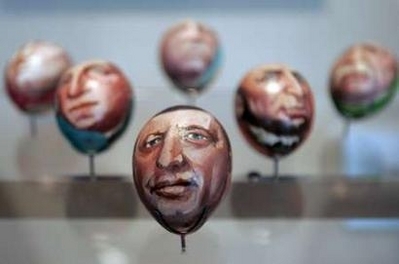 Giving us the disturbing image of Presidential Heads on Sticks. 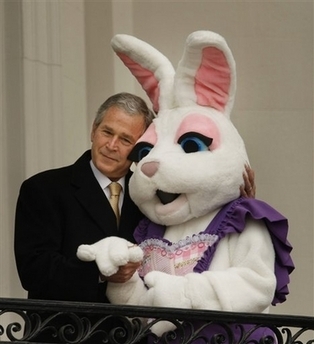 In Crawford a “Western White House Easter Egg Roll” appropriating the event name appears to be a Bush fan effort, gathering tough Texans indoors this year and last. 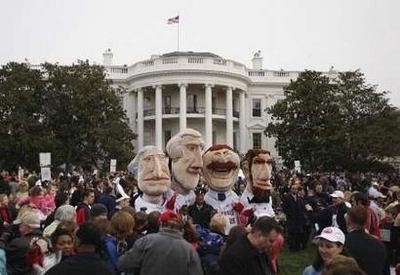 Washington Nationals Giant Headed Presidential Mascots!